Bring your Scout to Scout Shabbat next Saturday ... and don't forget to attend yourself. Everyone will have a great time. 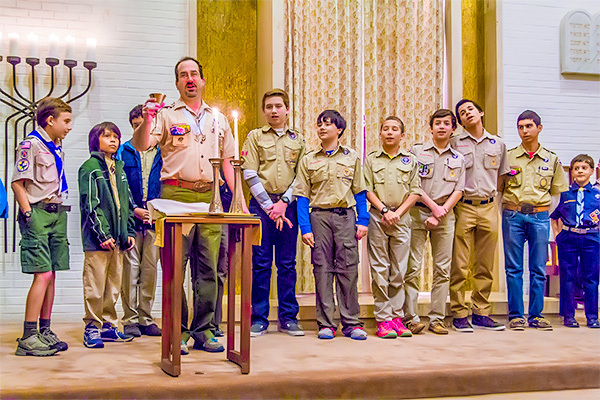 Come join Scouts from all over the Dallas area to celebrate a Havdalah service this Saturday evening at 7:00 p.m. We'll usher out Shabbat with prayers, songs, and music ... and surely a bit of food. After all, what is a Jewish celebration without food. Scout Shabbat – Saturday, February 9, 2019 @ 7:00 p.m.
On the Shabbat most closely following February 8th, the anniversary of Scouting in the U.S., we annually celebrate Scout Shabbat. Scout Shabbat this year will be celebrated with a Havdalah service on Saturday evening at Congregation Anshai Torah. The service will include both prayer and songs with an oneg of kosher munchies immediately following the server ... and additional singing. We invite Cub Scouts, Boy Scouts, Venturers, Girl Scouts, Brownies, and any other type of Scout. You do NOT need to actually be Jewish to celebrate with us. All are invited. 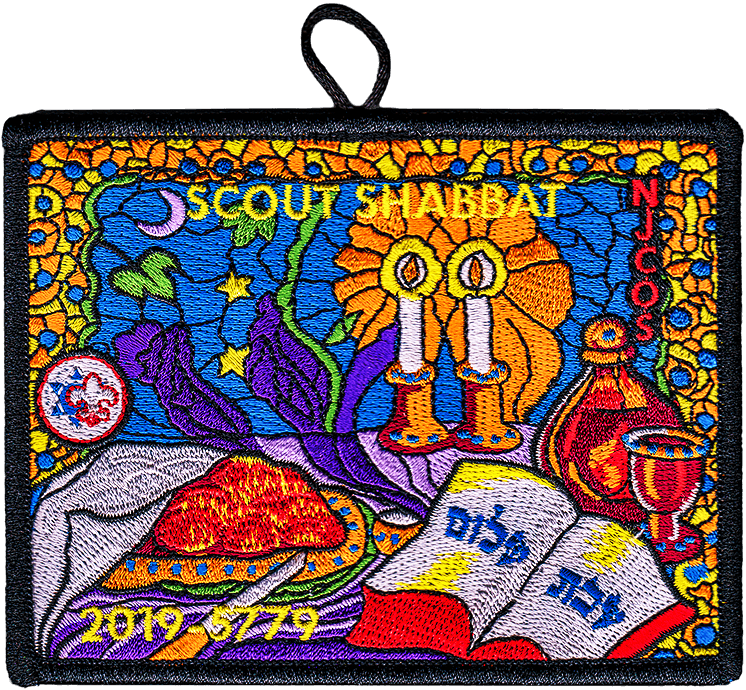 Scouts attending in uniform will be given Scout Shabbat patches at the end of the service. If your child (or you) earned a Jewish Religious Emblem during the last year, please let us know in advance. We will announce it from the bimah along with others. Looking forward to seeing you at the Congregation Anshai Torah next Saturday evening. Copyright © 2018 Dallas Jewish Committee on Scouting. All rights reserved. This email was sent by Stephen Shore at Circle Ten Council 8605 Harry Hines Blvd. Dallas, TX 75235.